Make sure you bring a valid document proving your identity. Remember the documents you use to prove your identity must be official documents containing a photograph and identification of nationality. Please note:Family registration books (France), driving licence (France), association cards, club membership cards, orange cards and health assurance “vitale” cards (France) are not deemed as official identification documents. 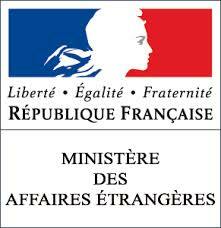 All minors of French nationality, enven babies, must possess a personal ID (passport or national identity card depending on the destination). Minors must have a passport in their name. Children cannot travel using a parent’s passport. Foreign nationals must show a passport. A residence permit will not suffice. This document will be requested for check-in and boarding even for babies or children. Depending on the country you are visiting, you will need to bring an ID card or passport. In some cases a visa is also required. It is your responsibility to ensure the validity of these documents and also to renew them if necessary. Please be aware some countries require that your passport be valid for several months after your return date of your return. If you are a citizen of the European Economic Area (EEA) or Switzerland, or a member of this family, you are eligible to travel freely within the Schengen area. When you cross external borders. International travellers who are seeking to travel to the United States under the Visa Waiver Program (VWP) are now subject to enhanced security requirements and will be required to pay administrative costs. All eligible travellers who wish to travel to the United States under the Visa Waiver Program must apply for authorization and pay a fee set under an official process. Some countries do not recognise the extension of the validity date from 10 to 15 years of the French national identity card. We therefore strongly recommend to travel with a valid passport to facilitate your trip. Reminder : ID must be shown at check-in and also during boarding.